New History Lab: Summer Labs! Yes that's right! 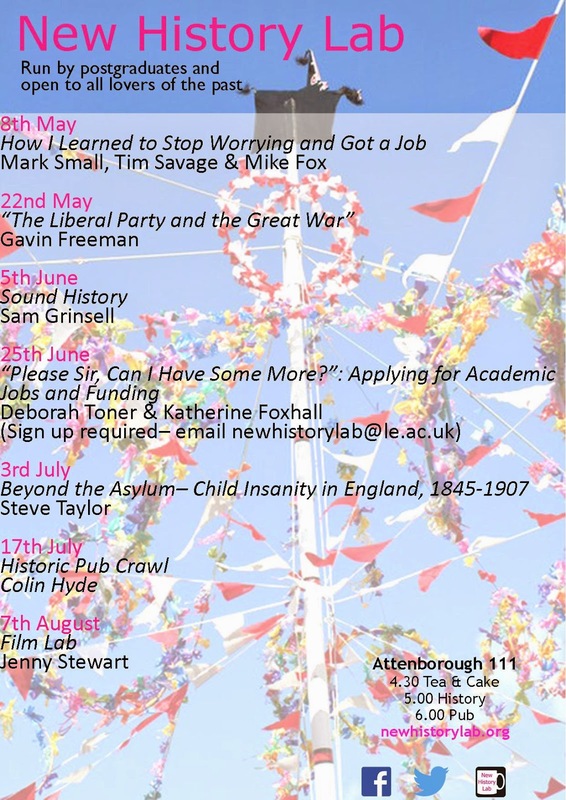 We have a jam-packed summer planned with a pub crawl, advice on funding applications and even a film lab. Check out this poster and more to follow throughout the following months. Don't forget our first lab of the summer this Friday in Attenborough 111 for tea, cake and non-academic job advice!